Large classes have increasingly become a feature in many countries around the world. This paper present a two-pronged analysis of this phenomenon, drawing on the political economy of higher education as well as the sociology of knowledge to contribute to a principled discussion about why we have large classes, and when a large class is too large. I argue that much of the justification for expansion in higher education is not borne by an analysis of the political economy of higher education. I then explain why the expansion of higher education through increasing class sizes is self-defeating: because contact between lecturers and students is necessary for the acquisition of disciplinary knowledge, and it is difficult to achieve such contact in large classes. 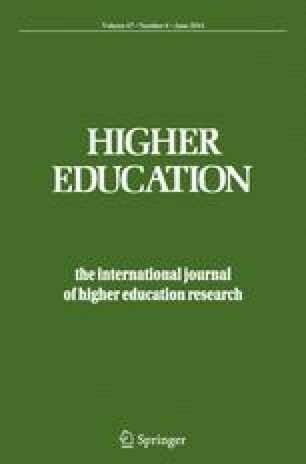 I conclude that the current discourse on large class teaching, which suggests that lecturers must accept ever increasing class sizes in the name of access and development, is unrealistic, both in terms of the political and economic imperatives, and also in terms of the nature of education, and the conditions for the development and acquisition of knowledge. Thanks to Kelly Gilespie, Yael Shalem, Tessa Welch, and two anonymous reviewers for thoughtful comments on an earlier version of this paper. This paper draws on my chapter (Allais 2013), Losing contact with students in large class teaching, published in D. Hornsby, R. Osman, & J. De Matos Ala (Eds. ), Teaching Large Classes: Interdisciplinary Perspectives for Quality Tertiary Education.